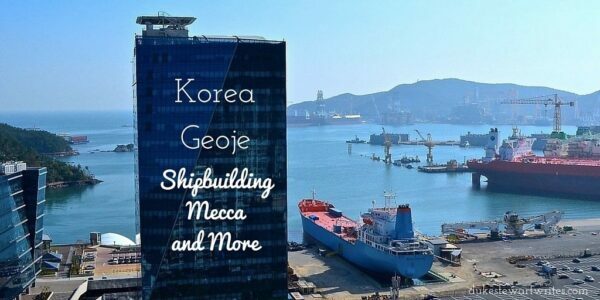 Geoje is a huge island in South Gyeongsang Province, just south of Busan and home to some huge shipbuilding yards. The two cities of Okpo and Gohyeon make up most of the island’s population and serve as a temporary home to many foreign workers as they either spend time working or wait to move on to their next port of destination. This travel guide is part of our series on South Korea Travel and East Asia Travel. It was originally created on November 10, 2013. It has been maintained and updated (as of December 28, 2018) to reflect current viewpoints and travel trends. Hike to the top of Guksabong and you’ll get a great panorama of the huge shipyards which brings many workers here. 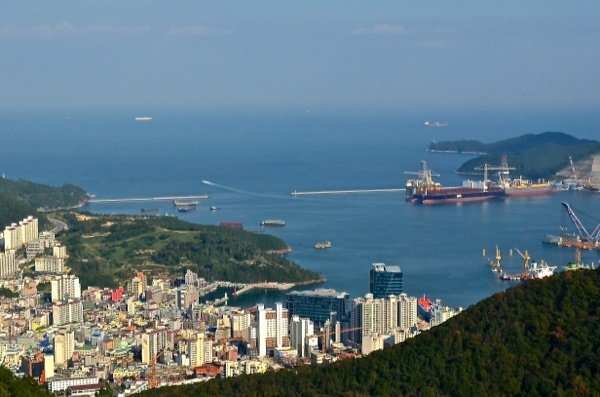 Geoje is an interesting island all around and first gained fame thanks to Yi Sun Shin, the admiral whose depiction has proven a controversial topic before and after his famous death in 1598. He engineered Korea’s (Joseon at the time) first victory of the Imjin War near Okpo and a park there commemorates the event. Geoje was also used for keeping North Korean and Chinese POW during the Korean War from 1950-53 and there’s also a place to learn about it on the island. 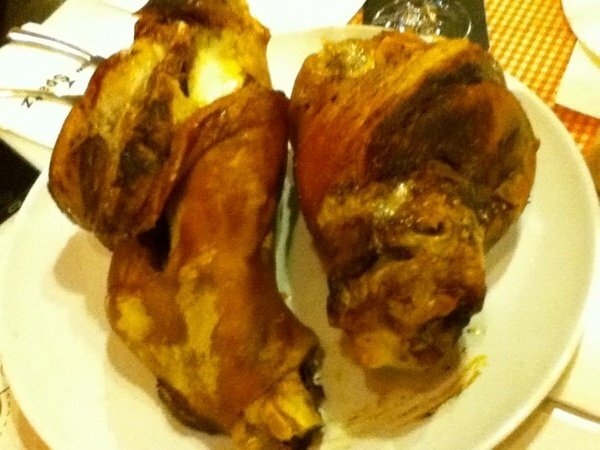 Thanks to Korea’s close relationship with Germany, one can find great Deutsch food and in one spot, a most gluttonous meal of slow-cooked pork ham hocks with in-house-made sauerkraut. Needless to say, it was a great weekend and another exposure to a truly interesting island mostly overshadowed by Jeju and other coastal destinations. Geoje has a great mix of beaches, mountains, and foreign attractions without the insanity found in Seoul or Busan. 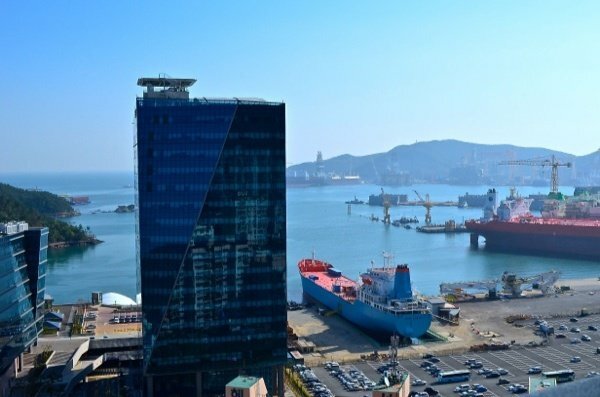 Bus – Geoje is closer to Busan so if you’re staying there, take a bus from Busan’s Seobu Terminal and you’ll get there in an hour and 20 minutes. 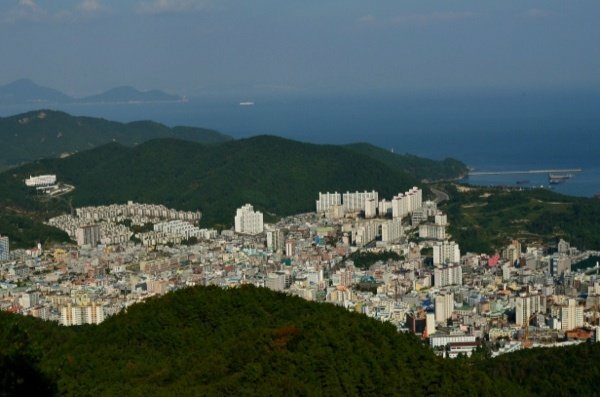 A Tale of Two Cities – Geoje is a big island and made up of two main cities (Okpo and Jangseungpo). Go to the former and you’ll find more Western food and people and in the latter, you’ll see more of a real Korean port city teaming with fish markets and the buzz that comes with them. I was able to find this place online eventually, though it did take some searching. The place is called Zum Spatz. I wasn’t able to find it in Korean. Had to look it up in English. If you want the Ham hocks, you’ve gotta call in advance. Nice post – you capture amazing pics! I haven’t been to Geoje yet but hopefully soon we’ll get over and see it. Any recommendations to find German food, or is it easy to find?